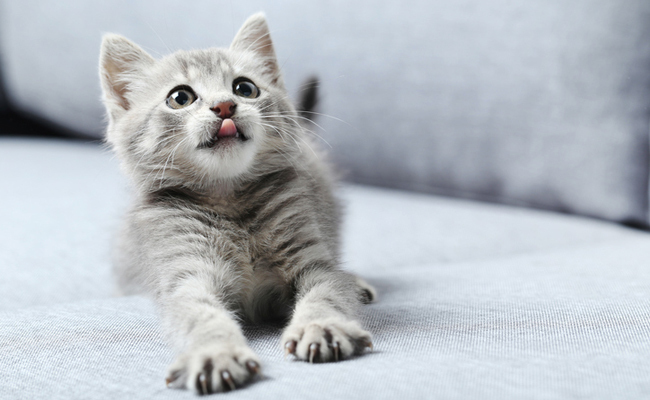 Animal advocates are celebrating another major victory for cats in British Columbia with a ban on declawing that went into effect immediately. While declawing remains a controversial topic, the fact remains that it isn’t a simple procedure that merely removes a cat’s nails. Rather, the procedure, which is formally known as an onychectomy, involves surgically removing the last joint in a cat’s toe to which the nail is attached. For cats, it’s a ten-toe amputation. While many cats find themselves the victims of this procedure because they scratch furniture — or us – their advocates point out that this is a natural behavior, whether we like it or not. If cats are declawed, they might not be able to scratch anymore, but they may also turn to other unwanted behaviors — like avoiding the litter box and biting as a defense. Even worse, they may have to live with harmful side effects like chronic pain for the rest of their lives as a result of the procedure. The ban went into effect immediately, and will only allow for the procedure in cases where it’s medically necessary to treat an underlying condition that would actually benefit a cat. Any veterinarians who violate the ban will be investigated and face disciplinary action. Fortunately, progress continues to be made on this issue in Canada and elsewhere. It’s already been banned in several countries around the world, and British Columbia is now the second province in the nation to ban declawing following Nova Scotia, which banned the practice last year. In the U.S. several cities have banned the practice, while states including California, New York and New Jersey have introduced legislation that would make it illegal statewide. While animal advocates continue to push for more bans on this inhumane practice, they’re also working to educate people about the inherent cruelty involved in declawing, as well as safe and effective alternatives, like Sticky Paws, scratching posts and nail caps.